I’m snowed in. We got a whopping 6″ of snow last night and the entire city is practically shut down, at least until the sun comes out and melts it all. I’ve been cooking up some good stuff lately and I thought today would be perfect for catching up on my blog. As I promised, this is going to be the year of the fish and I’m going to kick it off with a cured and smoked salmon. I’ve not been a big fan of salmon, but I thought if I smoked and cured it myself I could learn to like it again. Everything always tastes better when I make it myself. 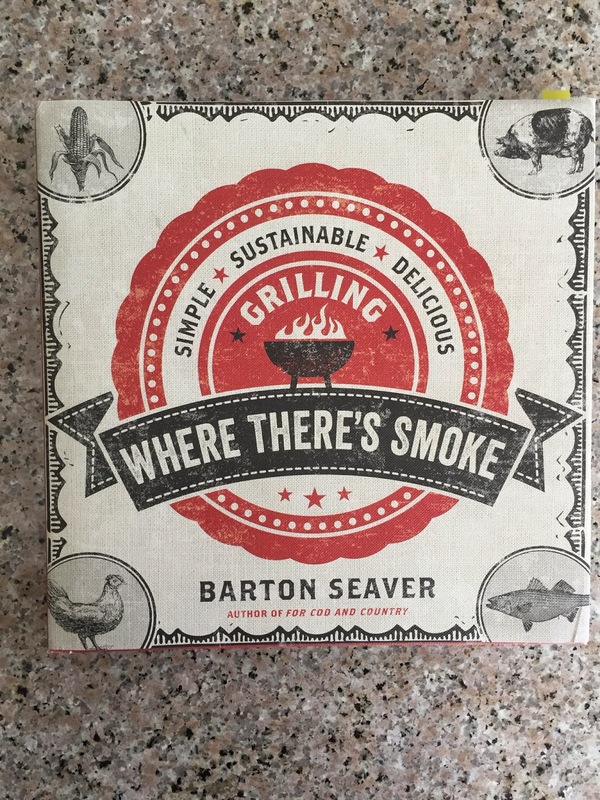 I’m using the recipe from “Where There’s Smoke” by Barton Seaver. 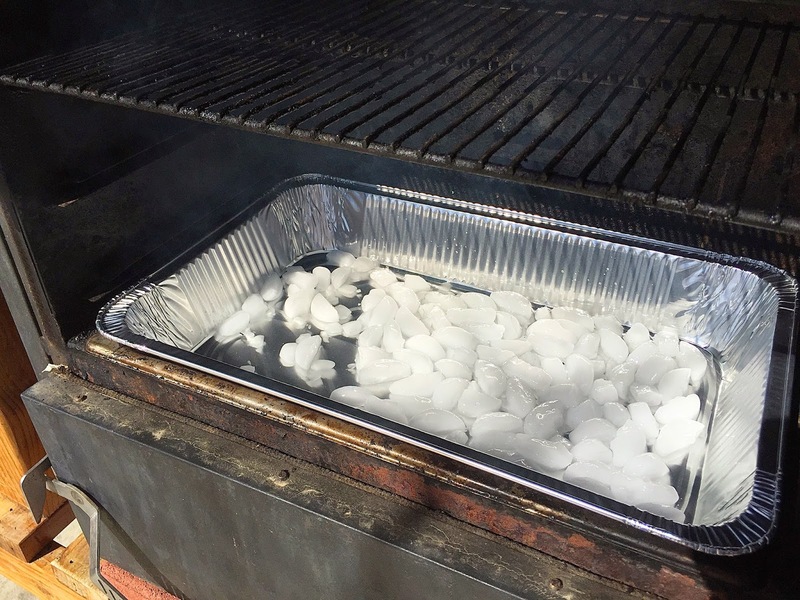 His recipe includes some great instructions for setting the smoker for a cold smoke. This is a pretty basic cure recipe but does call for Mace, no not the pepper spray. Mace is the sibling spice of nutmeg and actually from the same fruit. The pit is ground for nutmeg, mace is the outer fruit that has been dried and ground. Mace has a much bolder flavor than nutmeg and really makes a difference in the cure and flavor of the salmon. Now, I had a hard time finding this stuff but it was well worth it. But if you can’t find it, fresh ground nutmeg will work. I started with two big salmon filets and then made 4-5 shallow slices in the skin of the salmon then removed any stray bones. Slicing through the skin will allow the liquid in the salmon to escape during the curing. 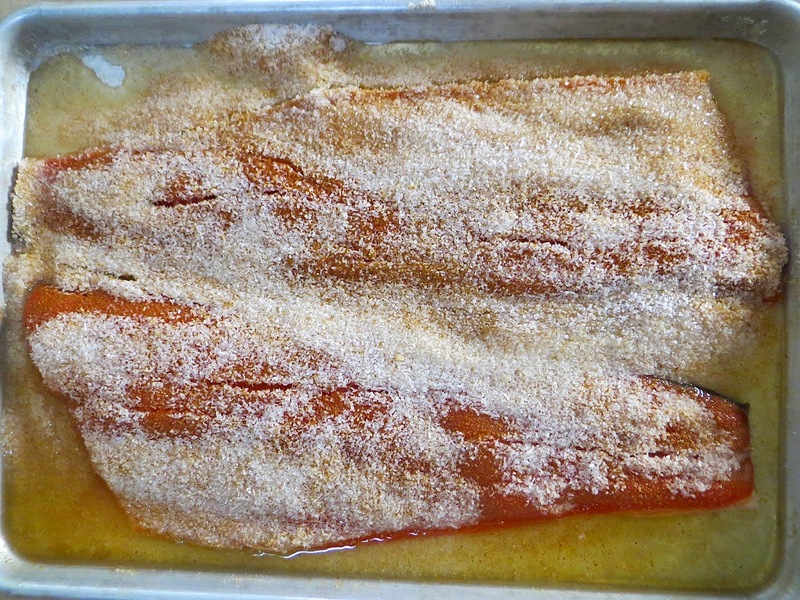 I poured about 1/2 cup of the cure on a cookie sheet then placed the salmon filets on top skin side down. Then I covered the filets with the remainder of the salt cure. 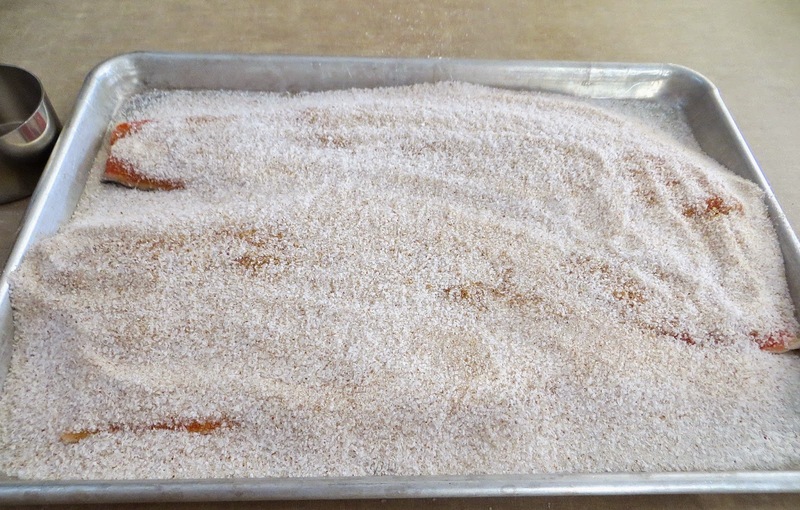 Salmon filets covered in cure mix. I placed the whole thing in the fridge, uncovered, for 18 hours. Below you can see just how much liquid came out of the salmon. After washing the cure off the salmon I dried and brushed it down with some vodka. The recipe called for Pernod, sambuca, bourbon or vermouth. I didn’t have any of those, so I used vodka, which I really liked because it didn’t impart any flavor to the salmon. 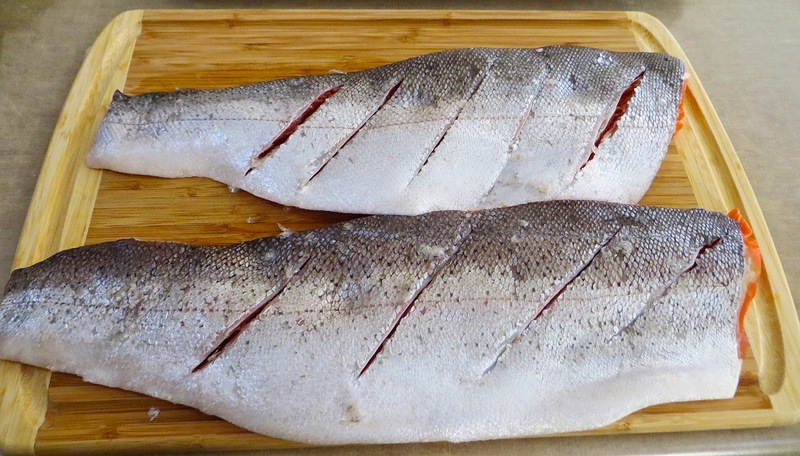 After brushing the filets down with the vodka, I returned the salmon to the fridge uncovered for another 24 hours. 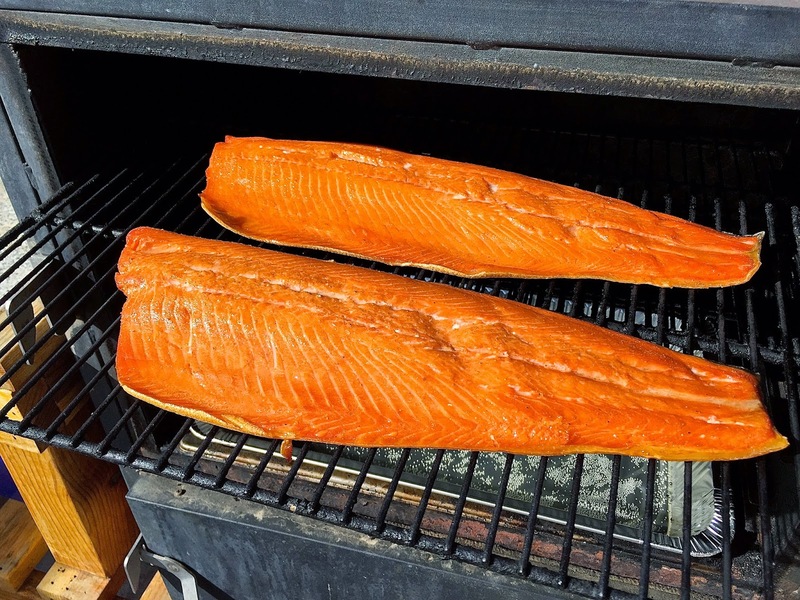 The alcohol will evaporate the moisture on the surface of the fish and forms a tacky film that the smoke will adhere to during cooking. Since my Egg tends to run a little hot I decided to use my box smoker. I built a small fire with a mix of Kingsford Brickets, lump oak charcoal and some chunks of pecan wood. To try to keep the heat down I filled the drip pan with ice, barely cracked the top vent and placed a foil ball in the vent tube on the back to limit the airflow and keep the heat low. The smoker never got over 150º, so it was more of warm smoke than a cold smoke. I put the filets on the very top shelf of the smoke far away from the heat. 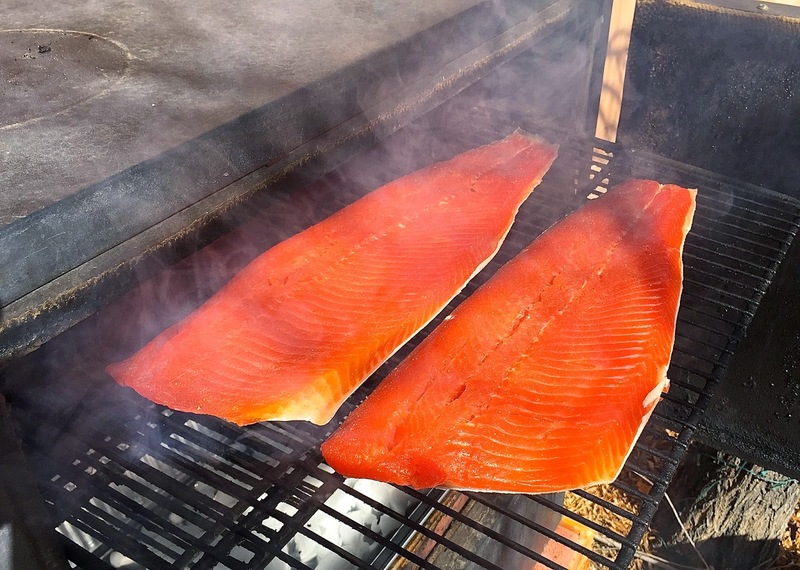 The salmon smoked for a good 2 hours. Since I’ve never had good smoked salmon I’m not sure what the texture is supposed to be, cooked and flakey or soft like lox? My salmon was cooked and flakey, the internal temp was 130º when I pulled it off. Regardless of the texture it was delicious. After smoking, I allowed the salmon to cool then wrapped it with plastic wrap and refrigerated it overnight. The salmon will last up to 2 weeks in the fridge and up to 4 months in the freezer. After 3 days of curing, drying and smoking, its finally time to eat this fish. 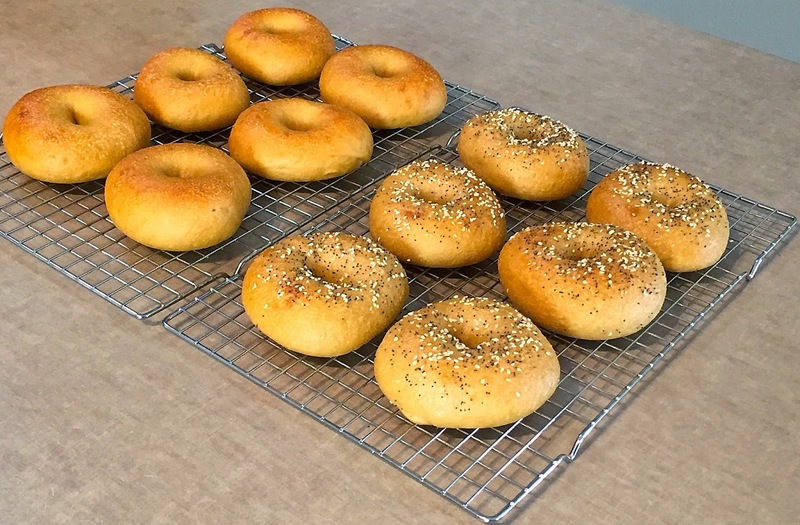 As you know by now we never do things half-assed at the AlbuKirky Kitchens and to accompany my exquisitely prepared salmon Cheryl made a batch of homemade bagels. They were absolutely spectacular. And, yes, they were poached and then baked, imparting a chewy texture to the crust just like the real deal. Maybe she’ll hijack my blog and share the recipe on a future post. Here we have our homemade bagel, smoked salmon, thinly sliced red onion, cornichons, capers and a good schmear of cream cheese. Up until this last week I have never in my life eaten a bagel with cream cheese and salmon, as of this posting I have now eaten four of them. If Cheryl would make some more bagels I would probably be eating another right now as write this blog, they were that good. Bagel with smoked salmon and all the toppings. It took a bit of time to make the salmon, but it totally blew me away. The curing really concentrated the flavor and I was able to get a really good smoke on it. 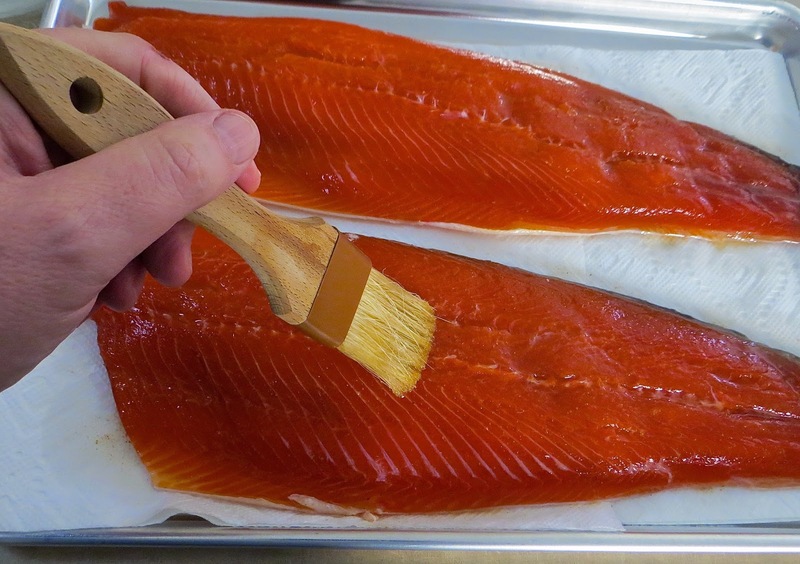 I’m going to work on the cold smoking technique and try to get the salmon a softer texture like lox. 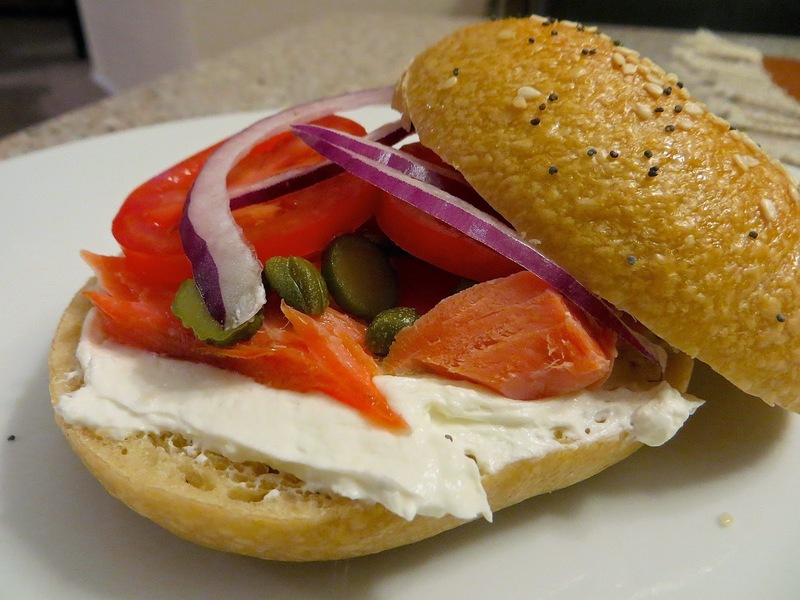 I think I like salmon again, but what I really liked were homemade bagels. I need to get Cheryl to make some more of them! Follow up…since we devoured these bagels in 2 days time, I picked up more at a popular bagel chain so we could enjoy more of this delicious salmon. I won’t name names, but it rhymes with Schmeinstein Schmagels. Not as good, Cheryl has forever ruined the store bought bagel for me. Thanks…thank a lot.